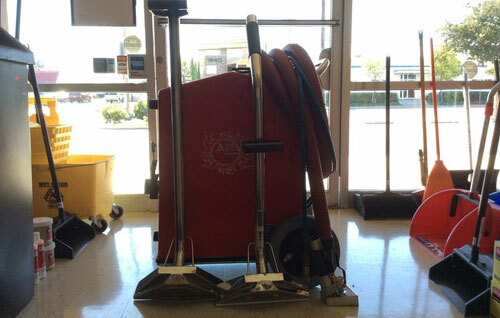 We Carry Well-Maintained, Top-Quality Floor Care Machines, Air Movers, Dry Vacuums, Backpack Vacuums, Canister Vacuums, Carpet Extractors, and More! A Great Way to "Try Before You Buy"
Whatever your cleaning needs, we stand by the quality of our facility maintenance and cleaning equipment as they are all routinely serviced, and purchased from the industry's most-respected brands, such as Sanitaire and Raven. Additionally, since we sell floor and carpet care equipment, our rentals are a great way to try before you buy. With hassle-free rental terms, competitive rates, and helpful usage instructions, we give customers the best value for janitorial equipment rentals in Orange County. Reserve yours today.